* we respect your privacy and will not send spam, or share your personal details with anyone else. I’m a dedicated and compassionate woman and I use my personal life experiences to help individuals obtain a greater sense of self-control and resilience. I suffered from severe depression and chronic pain for many years and became all the wiser through overcoming this life struggle. Ever since my youth, I’ve set out to make a difference in the world; so I combine my training in business management, my Yoga Teacher Training (YTT) certificate, and my Child and Youth Worker (CYW) diploma to be an entrepreneur and inspirational leader. I am founder of Move-It for Young Minds, and have worked closely with the Foundation at the Royal Victoria Regional Health Centre to raise money for their child and youth mental health unit. I am also co-founder of the Youth Empowerment Programs (YEP), one of the first specialized youth mindfulness courses in Barrie and I was awarded the 2018 Leading Women award for my exceptional work and leadership. My story was featured in the Geography of Resilience as well as part of Simcoe County’s Have Hope campaign. I’m currently collaborating on several projects with some of our nations greatest organizations including; Mindfulness Without Borders, Shepell, Waypoint and Georgian College. I’ve set a personal and professional goal this year to help 500 families become more resilient and empowered. According to the Mental Health Commission of Canada, an estimated 1.2 million Canadian children and youth are affected by mental illness, but less than 20 per cent will receive appropriate treatment. I think this is a staggering statistic and I created this e-book series to help families access tools and get support sooner than later. My passion for this field was born out of living through my own turbulent life experiences. My parents raised four kids (each of us only two years apart), and we faced many hardships that rocked our foundation. I was a volatile teenager, and my family found it almost impossible to get help when we needed it the most. As a result of high stress levels and low coping mechanisms, I made serious attempts to end my life and it’s a miracle I survived. During this incredible time, I had a revelation. I decided that if I could help inspire just one family by sharing the wisdom I learned from my own struggles, then it would be worth it. From that point on, I dedicated my life to building a career around doing just that, helping one family at a time. I live for, and love, what I do… and I am honoured that you’re giving me the opportunity to have a positive impact on your family’s life journey. Join me for this 2 part online series and explore tools for building optimal relationships and self-care. 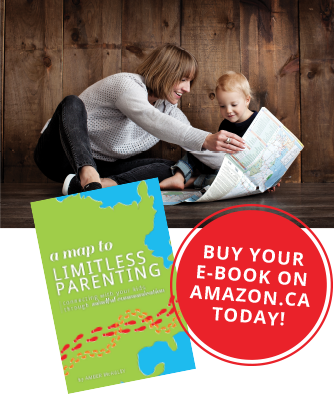 Registration includes a copy of my Map to Limitless Parenting Workbook. Join me for this 2 part series and explore tools for building optimal relationships and self-care. 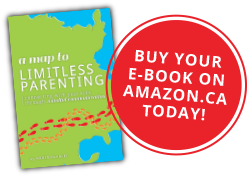 Registration includes a copy of my Map to Limitless Parenting Workbook. Watch this online seminar that highlights some parenting tools from my Map to Limitless Parenting Workbook.